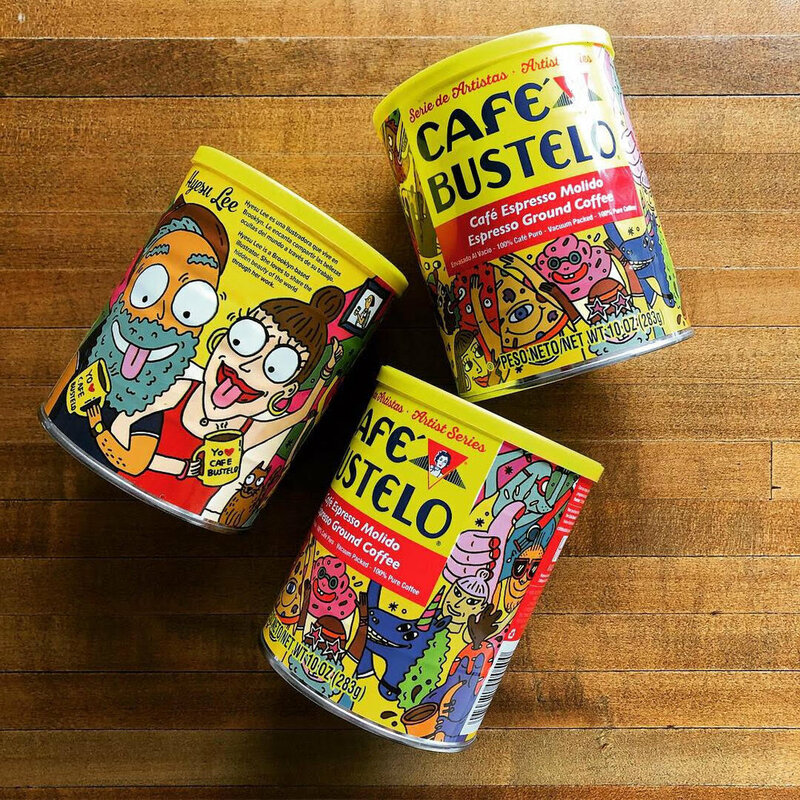 I did work on the Artist Series with coffee brand Cafe Bustelo on their new cans and they’re finally hitting the shelves at supermarkets and retailers. I was so excited when I saw them in my local supermarket in Williamsburg, Brooklyn and I just wanted to tell people nearby that I did this like a real crazy person, thank god I did not do that. :) I had very positive responses from people I don’t know on social media and told me how much they liked it, etc and it made my really happy. Thanks again Cafe Bustelo team for letting me work on this and allowed me to be so me. Also come one $3.99 is a damn good price for a can of coffee!! I'm so excited to share this year's new holiday packaging I collaborated with Dr.Jart+ launching at Sephora this week. It's always weird to work on holiday stuff during the summer when it's boiling hot, which also kind of makes you more excited about holidays and sweater season. I have teamed with Dr.Jart+ and working together quite a while now and I have to say how wonderful client they are and makes my skin keep nice by giving me so much free products. :) thank you!